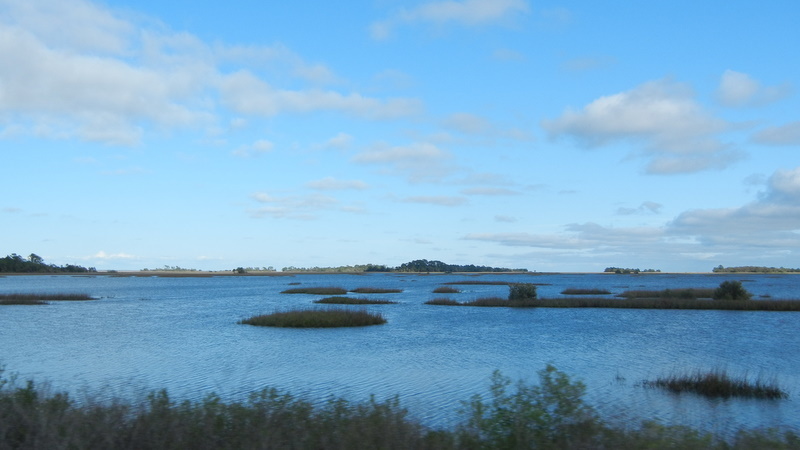 We drove 122 miles to Cedar Key. 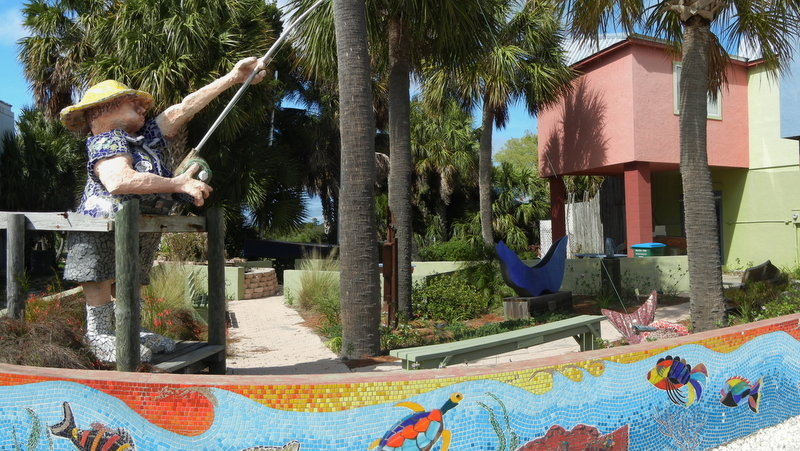 This is old Florida at its best; mangrove covered keys, interesting architecture, neat restaurants, and the Gulf. This is Key West on a small scale. What is missing is cruise ships (shallow water) and anywhere for cruising boaters to dock. 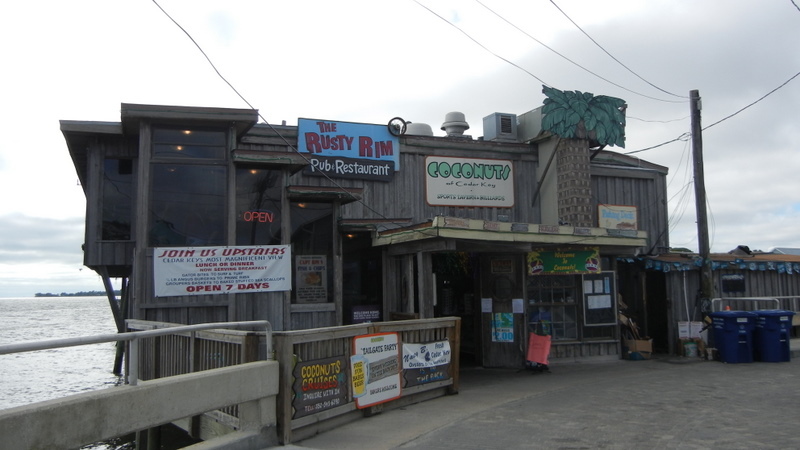 The chart shows Cedar Cove marina but it was wrecked in the last hurricane. There are a few boaters there but most of the docks are gone. I got the scoop from one of the boaters. The marina went bankrupt and the bank won't pay to fix the docks. They are waiting for someone to buy the marina, but buyers won't touch it without the docks being repaired. At low tide the water depth is zero with the boats all sitting in quicksand. The locals apparently don't think boaters will help bring tourists. I had Tony's 2X World Champion Clam Chowder for lunch. It was really good and a little spicy. Aquaculture of clams is the main industry here now besides tourism. 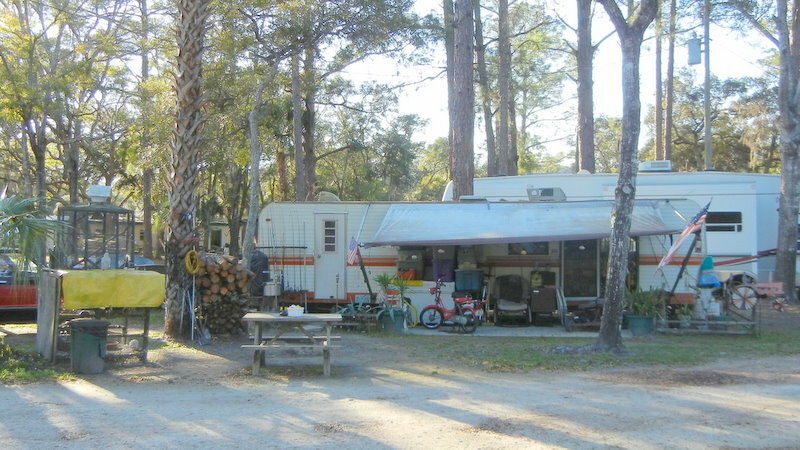 Our campsite, Rainbow Country RV Park, is about 9 miles east of Cedar Key and is a good example of an old Florida RV Camp. We look out at a camper that has been here a long time with his pigeons in the cage on the left and lots of other stuff.